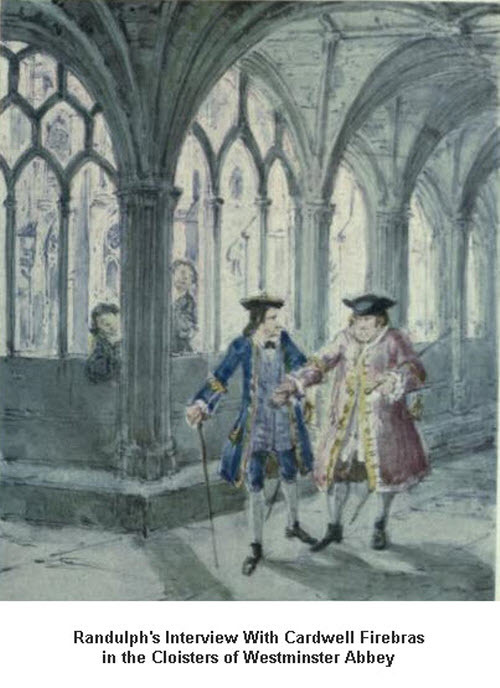 This section contains illustrations from the Miser's Daughter, a novel by William Ainsworth. George Cruikshank was a frequent illustrator of the works of William Ainsworth. Ainsworth published his historical romance, The Miser's Daughter in serial installments in Ainsworth's Magazine in 1842. 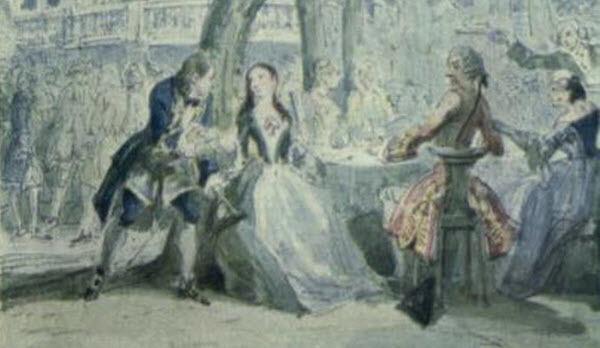 Cruikshank served as illustrator. 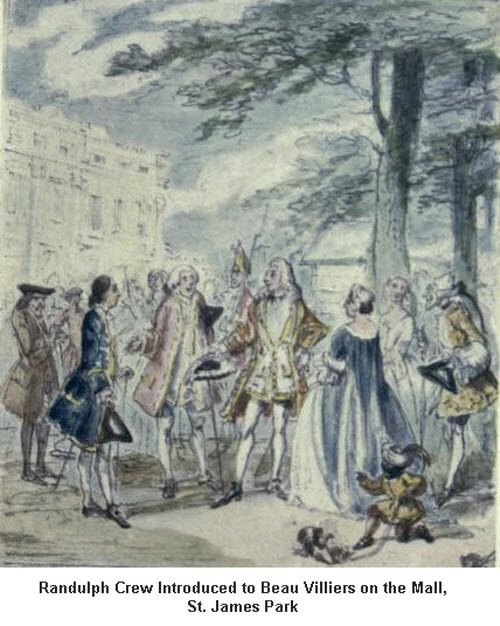 The novel was later published in book form, and made into a play called Hilda, named after the Miser's Daughter. 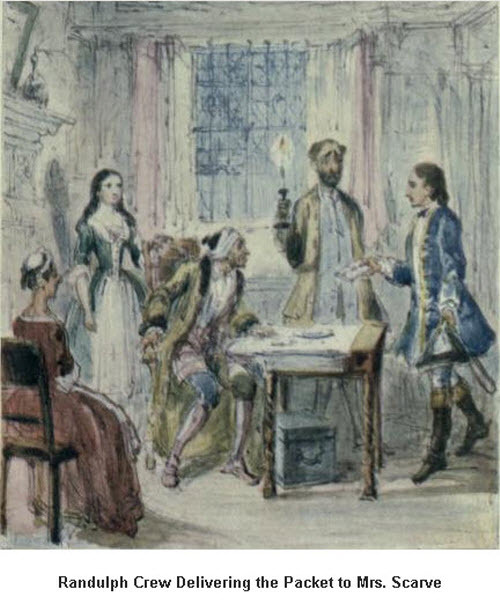 The novel deals with the efforts of a man named Randulph Crew to woo Hilda, despite the objections of her miserly father who wishes her to marry someone else in order to gain a financial advantage. After a series of misadventures, the miser dies and Hilda is free to marry the man she loves, as well as inheriting her father's fortune. 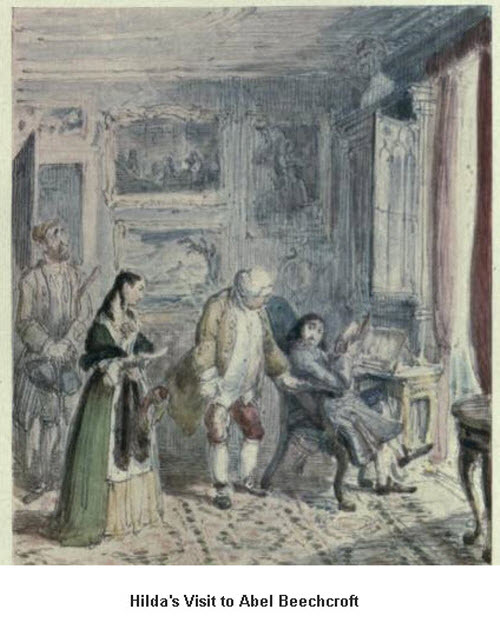 A very public controversy developed between Cruikshank and Ainsworth (reminiscent of the dispute between Cruikshank and Dickens) in which Cruikshank claimed that he had contributed to the text of the novel and the play, and should be given author's credit. 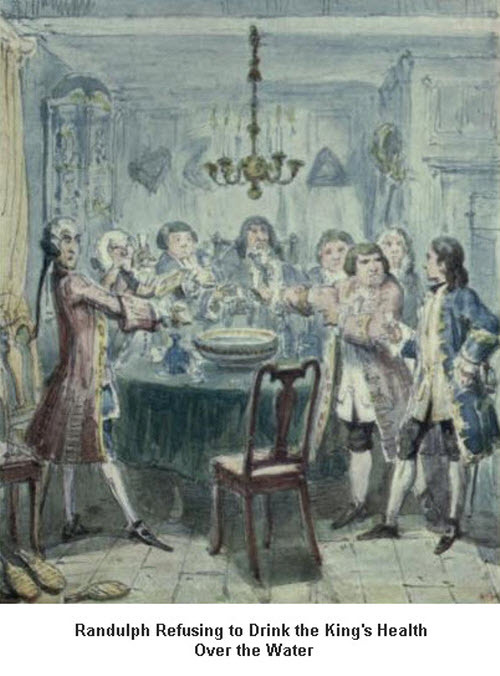 The dispute escalated to the point where Cruikshank wrote letters to the newspapers repeating his allegations, and led to a permanent break between the one time collaborators. 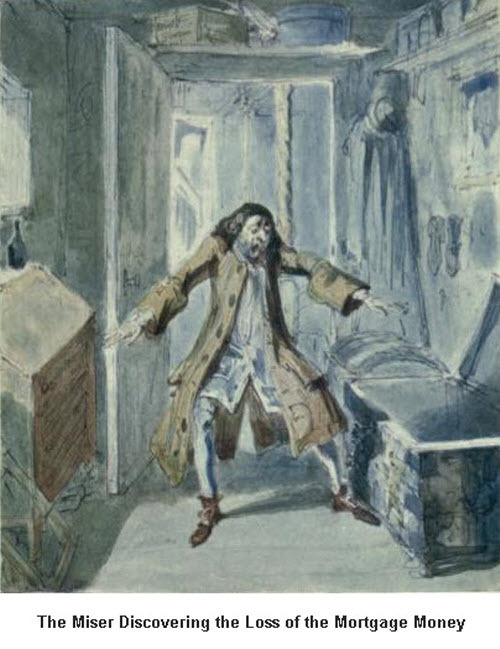 It is difficult to tell whether Cruikshank was in fact cheated by both Dickens and Ainsworth, or whether Cruikshank had an inflated view of the importance of his contributions as illustrator. 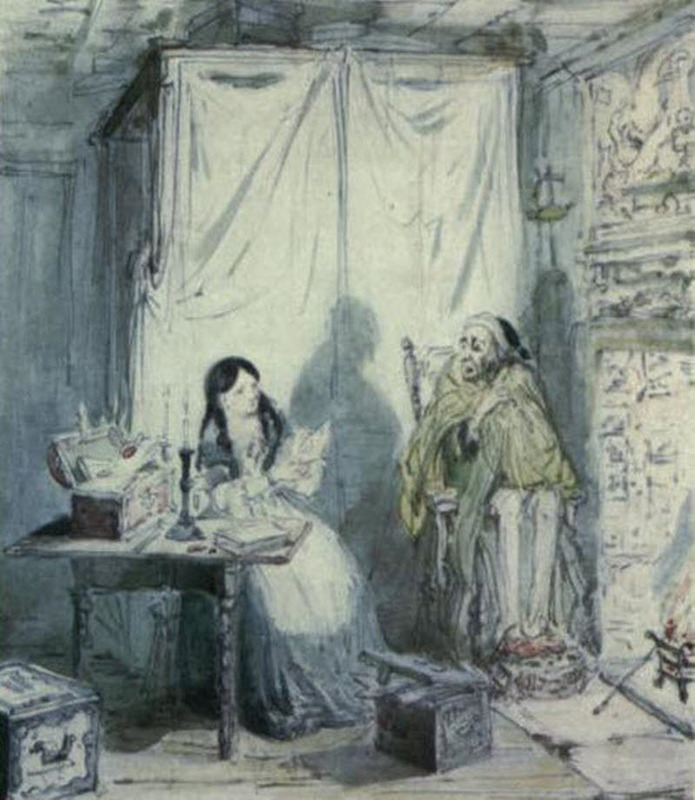 Here are several illustrations from The Miser's Daughter all by George Cruikshank. The book itself and the controversy it generated are now largely forgotten, but the drawings are of high quality and rich in realistic detail. A subplot involved a Jacobite plot. The Jacobites were a rebel and sometimes terrorist organization deidcated to restoring James II to the throne of England. Here Randulph conducts a clandestine meeting at Westminster Abbey. 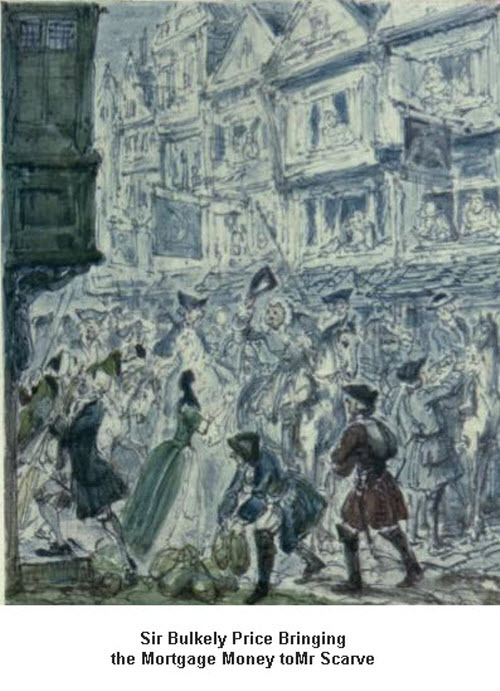 Jacobite terrorists are pursued by the Guards over the rooftops of London. 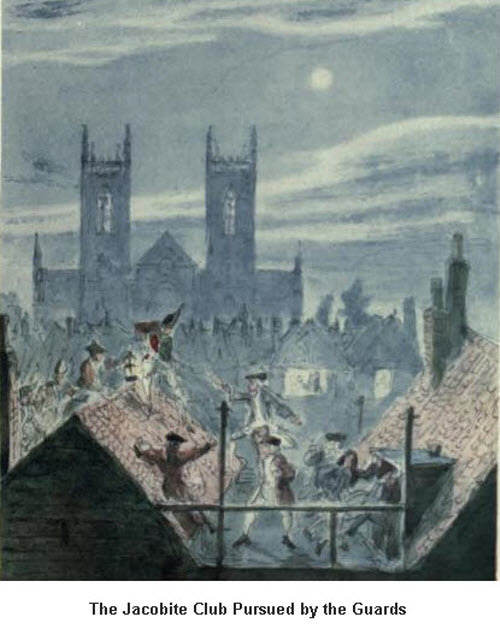 It is interesting that both in this novel, as well as in Jack Sheppard and various works of Dickens such as Oliver Twist, criminals are often depicted as using the rooftops as a means of escape, often jumping from one house to the next while pursued by the police.